Highlands College is delighted to announce their education partnership with the Garenne Construction Group, in order to build and nurture the relationship with the College and the construction industry. The Highlands College department of Construction and Engineering currently caters for 57 full time and 283 part-time students covering building trades and services, automotive, mechanical welding, electrical, plumbing, carpentry, painting & decorating and brickwork along with a further 38 students undertaking a HNC Diploma or BSc (Hons) course with University College Jersey (UCJ). The partnership will enable funding for a number of initiatives, the first being an educational visit for UCJ Construction Students to the UK. 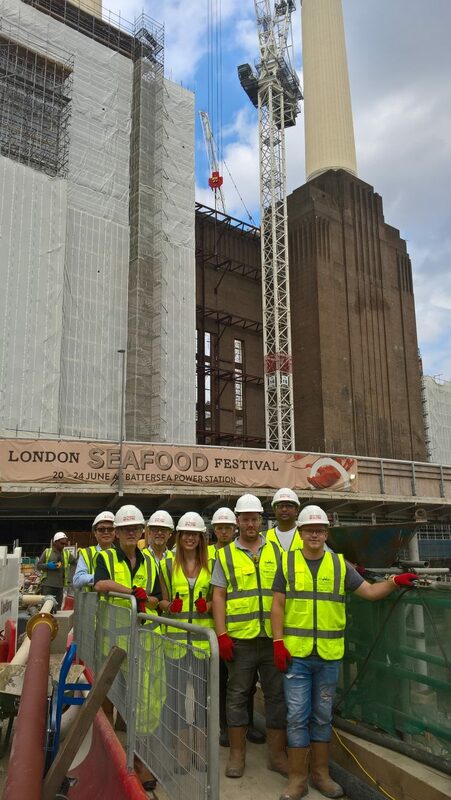 The trip for Degree Students, who are completing their first year of their BSc (Hons) in Construction Management or the Architectural Technology, included a visit to the iconic Battersea Power Station redevelopment along with a visit to London South Bank University, who support the UCJ construction courses.